The Trans-America Challenge 2018 was staged 27th May to 17th June, starting in Charleston, South Carolina and ending in Seattle, Washington. 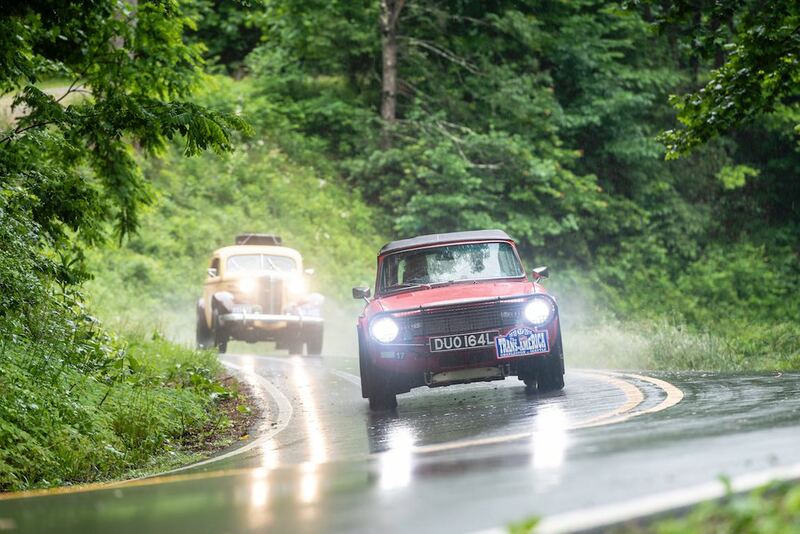 Around 35 vintage and classic cars arrived at the finish line of the Endurance Rally Association’s third Trans-America Challenge, having traveled 9,360 kilometers (5,816 miles) by the end of the 22-day rally. Starting in Charleston on Sunday 27th May, the competitors headed to Charlotte, home of the NASCAR Hall of Fame. From there, it was onto Nashville and Memphis, Tennessee, before heading into the deep south of Jackson, Mississippi, and a rest day in New Orleans. Then the Trans-America Challenge 2018 headed into Texas with Galveston, Austin, Wichita Falls and Amarillo on the route before entering Santa Fe, New Mexico. After experiencing ‘cowboy country’, the crews headed north to Colorado Springs and a rest day in the ski resort of Aspen before heading to the desert plains of Moab and Sundance, Utah, Boise, Idaho and Newberg, Oregon. 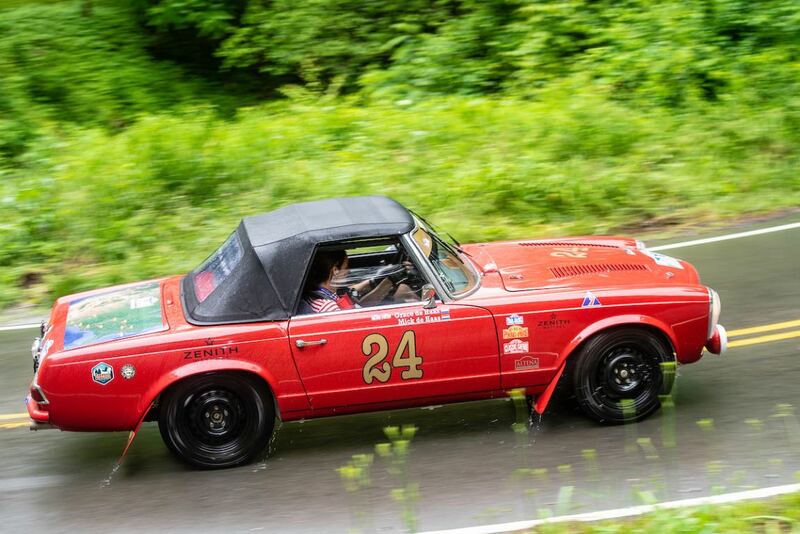 A 1968 Triumph TR250 driven by long time endurance rally campaigners David and Jo Roberts won the Trans-America Challenge 2018. 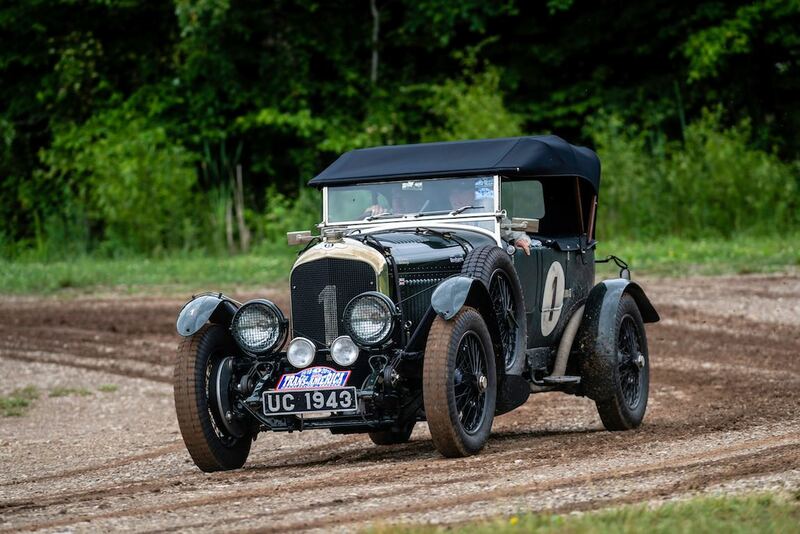 Yorkshire husband and wife team David and Jo are veterans of the Peking to Paris, the Road to Mandalay and Saigon, the Flying Scotsman, the Classic Safari and every Trans-America Challenge to date, never-failing to finish a rally but never winning prior to this event. David Roberts drew on his decade long experience of listening to others making their victory speech as he thanked Jo for her efforts over the last three weeks. He also thanked all the Porsches, Datsuns and every other fast cars that didn’t come to Charleston to start the rally. He also recounted his and Jo’s many discretionary awards picked up along the road to the overall win. 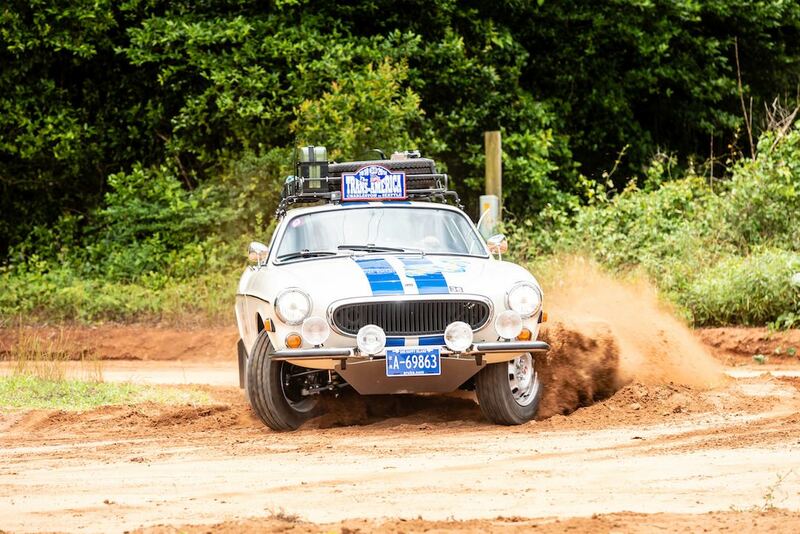 Second place in the Classics category went to Mike and Lorna Harrison in the 1963 Volvo PV544. Mike loved the route, loved the variety of landscapes and loved the competition. 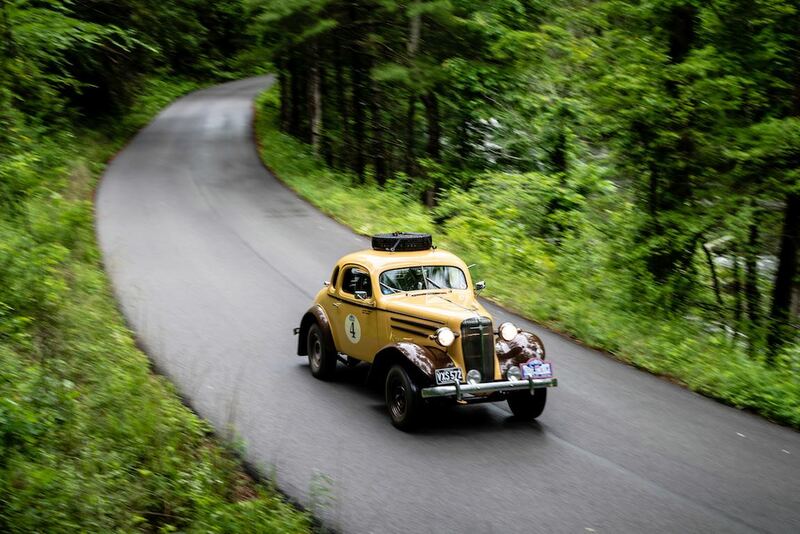 Jim Gately and Tony Brooks in the 1937 Cadillac Convertible took home the Vintageant class win and third place overall against a field of newer cars which was a magnificent achievement. As well as the overall and the class awards, discretionary awards were also presented with the Spirit of the Rally Award given to the two teams making up the drive4stageIV crew, fundraising for breast cancer awareness. Crew member Pam King had to withdraw from the event at the midway point as her own battle with cancer worsened and as the car crossed the finish line, she sadly lost her battle and passed away. 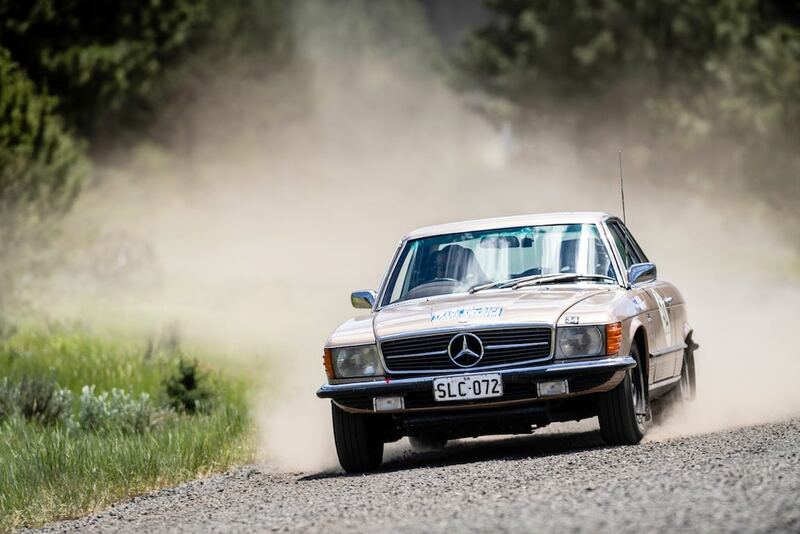 The Against all Odds trophy was presented to Mick and Grace De Haas who battled back to rejoin the Rally in Aspen after a fuel pump fiasco in Santa Fe on their 1966 Mercedes-Benz 230SL. 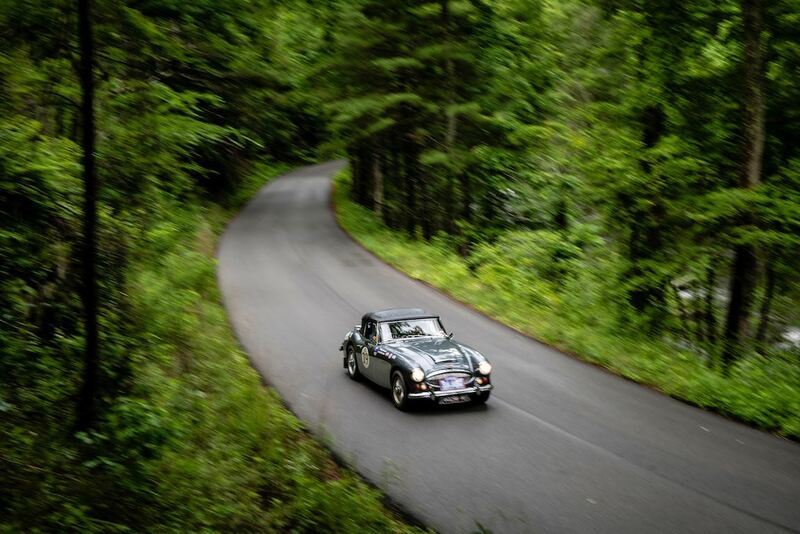 The next ERA events will take place in September with the inaugural Himalayan Challenge and the Alpine Trial. For further information, visit EnduroRally.com. 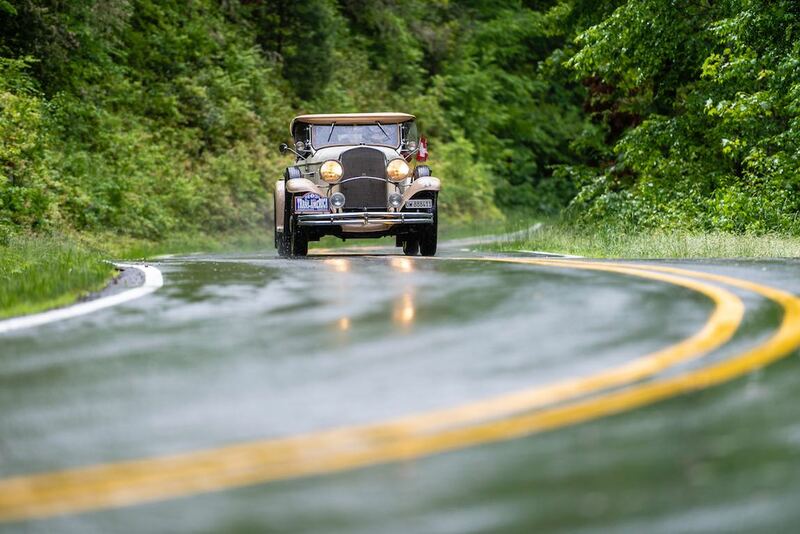 Similar to the 2015 rally, Sports Car Digest also documented the 2018 Trans-America Challenge, with photographer Gerard Brown offering the following wonderful pictures that highlight the panoramas of North America. Please discontinue political tee shirt ads! I wasn’t previously aware of this event. Thanks for the coverage. Very sad about the woman with breast cancer who died – puts it all in perspective. Thanks again. essay. I certainly enjoy seeing all the cars but I also enjoy see the country that the cars travel in. I am sure some of the views are majestic but I certainly couldn’t tell from most of these pictures. The pictures portraying the surrounding geography of the routes were conspicuous by their absence until about the middle of the essay. 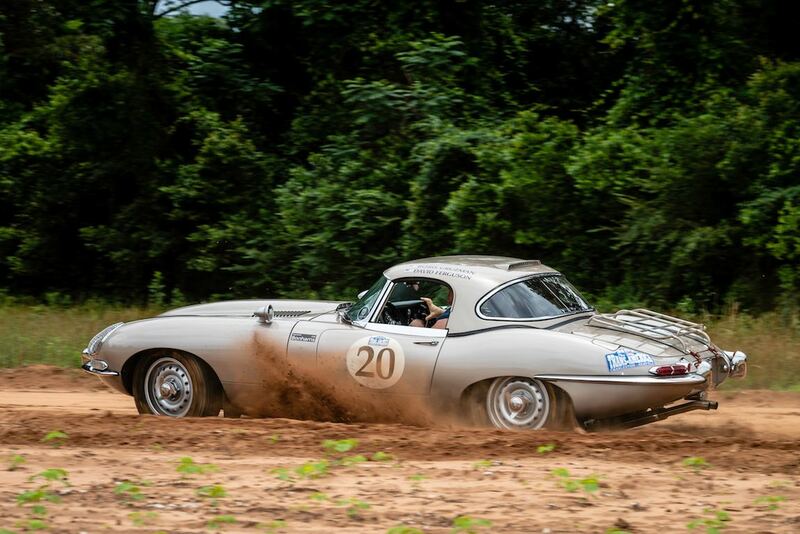 Seeing cars flinging dirt and mud in close up shots I suppose must be documented but I don’t think it is as necessary to be the majority of the photos. 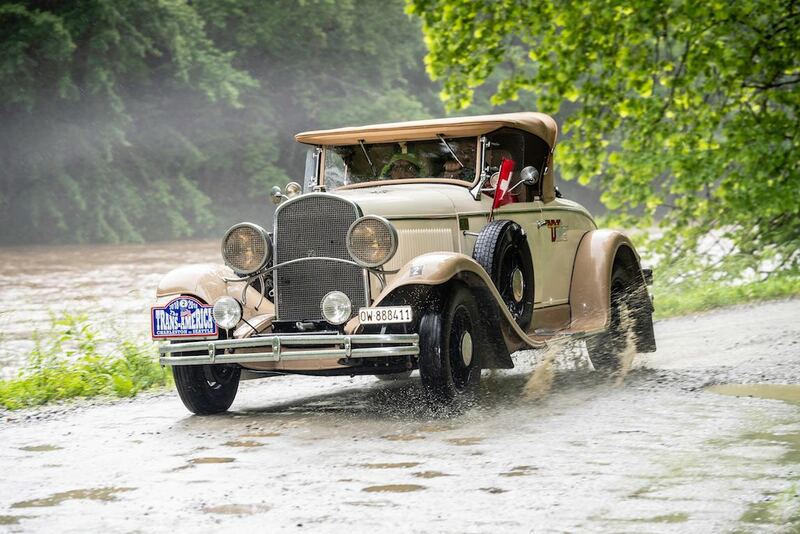 One other note, it would be nice if a beautiful picture of a beautiful car in a beautiful setting could be labeled as to approximately where it was. Thanks.